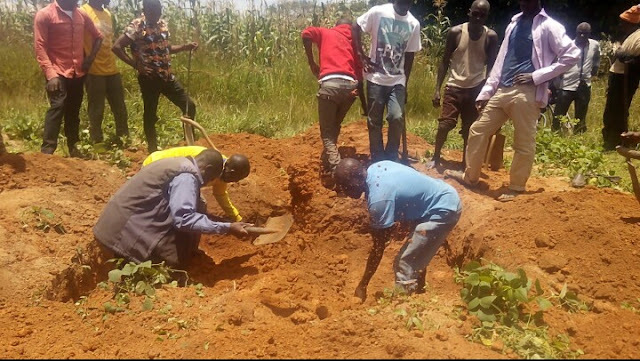 At least more eight people including a mobile Policeman are feared to have been killed in separate renewed attacks in Barkin Ladi and Bokkos Local Government Areas of Plateau State. The reports coming shortly after a Reverend, his wife and kids were killed on Tuesday along with five others in Foron and Ropp districts of Barkin Ladi LGA follow Gov. Simon Lalong's pledge to end the killings which he regarded as "madness". While one elderly man identified as Mr. Amallam Mabas was reportedly shot by unidentified cattle rustlers in Butura Kampani village, same Tuesday night of the Foron attack, one lady was alleged to have been shot by Special Task Force Personnel during a women protest in Barkin Ladi town on Wednesday. A Pastor of the Church of Christ in Nations (COCIN), Rev. Ezekiel Dachomo who appears agitated in an online video, carrying the corps of the lady berated United Nations for its silence on human rights violations by the Nigerian Forces. Same STF personnel allegedly shot three youths keeping vigilance during a mass burial for victims of the Foron village attack that Wednesday. Although all survived with severe injuries, Chairman of the Berom Youth Movement, Foron, Mr. Thomas Tsok said the securities were a threat to them. "We have lost confidence in the securities because instead of protecting us from our aggressors, they still kill us without provocation," he said. Some youths in company of Mobile Policemen according to Mr. Tsok were however attacked when they went to evacuate a fresh corpse of a young man killed by unidentified gunmen in Abonong village, Foron on Wednesday during the mass burial of the earlier eight victims. Six people including the initial one that was to be evacuated, and the Mobile Policeman were killed, the Youth leader said. Four others he disclosed are still be missing while an unconfirmed number of persons are also undergoing treatment for various degrees of injuries. The earlier attack in Abonong and Zayit villages in Foron district was followed by cattle rustling and burning of houses by the assailants. Same was the case in the Butura village attack where 20 cattle belonging to the slain Mr. Amallam Mabas were rustled as the assailants reportedly guarded neighboring houses with sporadic gunshots to prevent intervention. Although no house or property was burnt down, some cattle cattle in the same rustled herd were reportedly shot to death as the assailants equally damaged doors while shooting to prevent anyone from coming out to intervene. The deceased was reportedly shot when he ran out screaming to alert villagers on the invasion by the attackers. Secretary to Bokkos Local Government Council, Hon. Sylvanus Ayuba and the Youth Chairman of Butura Kampani, Mr. Sule Ali have confirmed the attack. They both reported that a suspect who had threatened the deceased on Monday before the attack has been apprehended. As of publishing time, the Police Public Relations Officer, Plateau State, Tyopev Terna was yet to respond to an enquiry sent to him in a mobile text, same as the Spokesperson of the Special Task Force, Maj. Umar Adams.